An effective solution to localised fat, skin rejuvenation and much more. Pioneered by the French Physician, Dr Michel Pistor in 1952, mesotherapy is a non-surgical, relatively painless injection technique with a broad range of applications. Mesotherapy promotes the body’s circulatory lymphatic, and immune system creates a biological response and reverses abnormal physiology. Mesotherapy is commonly practiced in France, where more than 20,000 physicians utilise mesotherapy for the care of their patients. In France, mesotherapy is taught in medical school. Mesotherapy is also practiced in many other countries around the world, including Germany, Spain, Belgium, Columbia, Argentina, Canada, throughout Europe and now Australia. Mesotherapy is an interventional injection technique that is performed by health care professionals. Mesotherapy is an effective alternative for the treatment of cellulite, weight loss, hair loss and also face and neck rejuvenation. Unlike surgery, mesotherapy is virtually painless, requires no post operative recovery time, requires no bandages or girdles and no anaesthesia is necessary. While many surgical procedures require one to two weeks recovery, patients undergoing mesotherapy have no interruptions to their daily life. Mesotherapy involves an injection of a customised mixture of vitamins, amino acids, and medications just millimeters under the skin into problematic areas. Just a “drop” of solution is used at each injection site. The results with Mesotherapy are dramatic. After completing a series of mesotherapy treatments, generally over a three-month period of time, patients notice improvement in skin quality, less dimpling of the skin, and weight reduction including a loss of approximately ten pounds and one to two clothing sizes. Stretch Marks – Mesotherapy can erase and re-pigment stretch marks in mild and severe cases. Skin Rejuvenation – Particularly for the treatment of wrinkles, sun damage, infraorbital fat pads, smoker’s lines, pigmentation skin hydration and tone. Using vitamin antioxidant injections under the skin to make the cells more active metabolically, stimulate both collagen and elastin production, creating a skin rejuvenation process. Fat Loss – for those patients seeking fat loss, mesotherapy is a revolutionary and essential tool. It works by blocking the signals of fat accumulation and simultaneously triggering the release of stored fat modifies the biology of the fat cell. Again, the desired area of treatment can be patient specific, targeting your most problematic areas. Additionally, a complete dietary and nutrient evaluation will help you maintain your weight loss goals. Cellulite Reduction – cellulite affects the majority of women over the age of 20. It is caused by poor circulation, fat herniation, a weakening of connective tissues, lymphatic congestion and hormonal imbalances. Causing a dimpling and cottage cheese appearance of the skin, cellulite is not a disease of excess weight. Mesotherapy treatment is targeted to correct these problems by improving circulation, strengthening connective tissues, and dissolving excess fat. Hair loss/Alopecia – the loss of hair, affects both men and women. Alopecia results from poor circulation, nutritional imbalances, and the excess of a hormone known as DHT (dihydrotestosterone). Mesotherapy can correct these problems, stimulating the body to naturally grow lost hair. under the neck, remove free radical damage, and tighten loose skin. The effects rejuvenate the face, eyelids, and neck without the unnatural appearance and painful recovery of surgical face lifting. Body Sculpting – contouring of the abdomen, arms, back, legs and hands can be obtained with mesotherapy. Vitamins and amino acids are used to tighten sagging skin while other agents are used to remove areas of fat, restoring a more youthful and athletic appearance to the body’s contours. 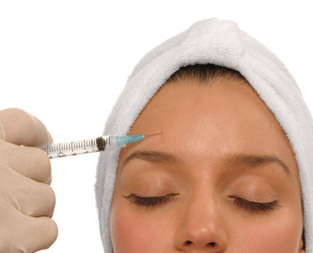 Medical uses – Mesotherapy also has a variety of medicinal uses. Treatments can benefit those patients suffering from muscle spasms, stress, insomnia, carpal tunnel syndrome, fibromyalgia, infections, RSD (reflex sympathetic dystrophy), and osteoarthritis, among other conditions. Almost anyone in good health between the ages of 18-75 can be treated. Treatment is not recommended for patients who are insulin dependent diabetics, are pregnant or have a history of stoke, recent cancer, blood clots or heart disease. Treatments of 25 to 100 injections are generally given once a week over a period of 4-10 weeks. Practitioners say most patients see good results within 4 weeks, although some will continue therapy for up to 10 weeks. Thin people with problem areas such as “love handles” or “saddlebags” may require less, whereas obese individuals may require more. Side effects are generally limited to bruising. The bruises usually fade within one week. The procedure generally takes 30 minutes and requires no preparation or recovery time. Furthermore, no heavy bandages or girdles are used and the Patient can return to work right after. Treatment areas will remain free of unwanted fat as long as the patient maintains a healthy diet and exercise. Treatments for cellulite and for mesolift will require maintenance on a six month to one year basis. Yes, it is very different. Besides involving no anesthesia and surgical risk, mesotherapy requires no recovery time. Mesotherapy also removes the fat from the fat cell without destroying it. We believe this helps give mesotherapy its natural appearance. Also, if you gain weight after having mesotherapy, the fat will simply return to the treated area, unlike liposuction, where fat can start to occur in places that had been thin in the past, such as the arms, neck, face and calves.